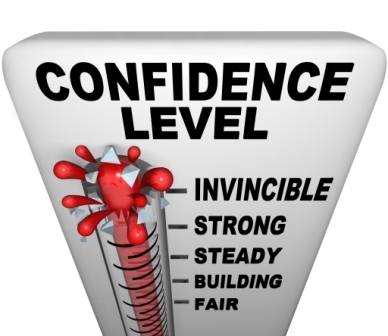 Can you make confidence happen? As long as you sit and think about it confidence won’t come knocking on your door. You can read about it, discuss it with friends and even seek advice from a mentor. That will certainly help you understand confidence or why you’re lacking it but it won’t actually give you any. You can look in the mirror all day long and do a check list of your good points or even great points although doing any of that won’t bring you confidence either. To feel it and make it grow you’ve got to do it. If there’s something you want to have more of or get better at then you have to face your fears and do it. Actually “doing” whatever it is you’re not confident in “doing” is the one thing that will give you confidence in the end.